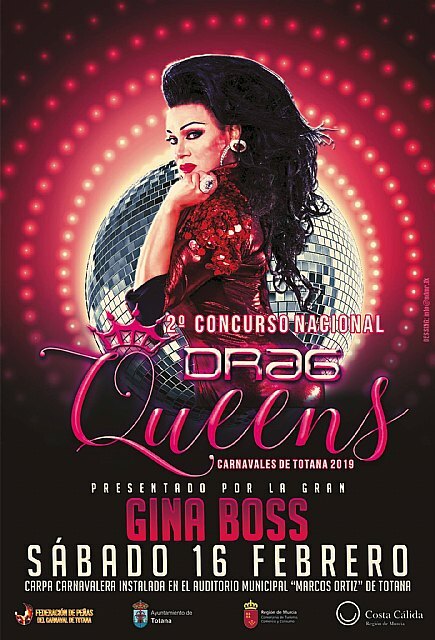 "You can not miss the II Drag Queens National Carnival Gala of Totana 2019 that will be presented by Gina Boss in the Carnavalera Tent installed in the Municipal Auditorium Marcos Ortiz de Totana, which will be heated this year". "But this is not the only novelty this Gala will have this year," according to the Federation of Peñas. The gala will take place on Saturday, February 16. 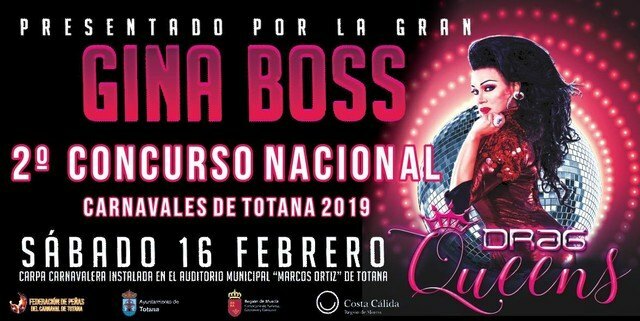 The tickets are already on sale at the Sociocultural Center "La Cárcel", at the City Hall of Totana and at the different Peñas that make up the Federation of Peñas del Carnaval de Totana. After the Gala, the Music-Disco Party will continue with DjValero and Juanillo M Del Moral (Free admission).